When it comes to Social Media Marketing, having high quality, relevant content and images will attract and engage your social audience throughout the various social media outlets, however, being sure to post during optimal times of the day is critical for getting the most exposure and interaction. 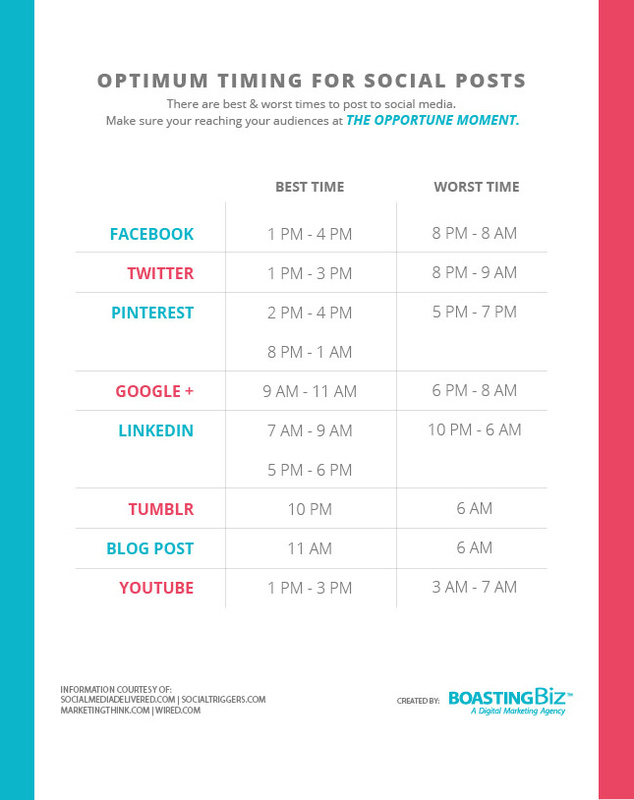 The infographic below illustrates the best (and worst) times to make posts in order to gain OPTIMAL results for your creative marketing efforts. Follow this guide and become a professional Googler! For the most part, we all know how to “Google”, but not everyone knows how to be a true pro of it. 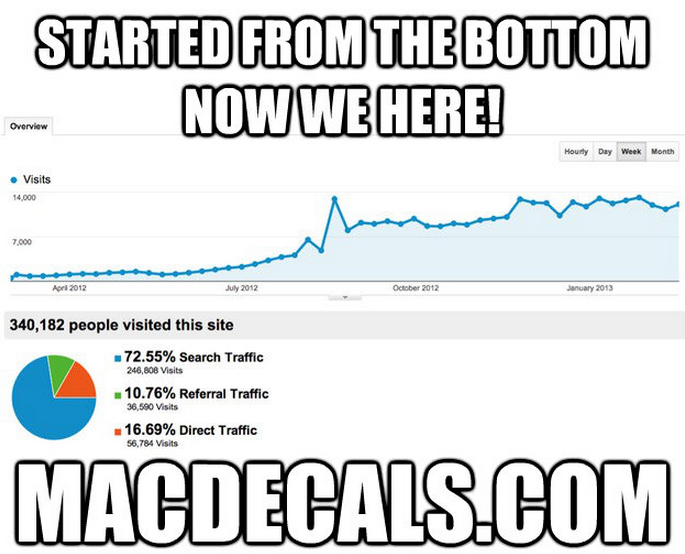 Here are a few simple, yet beneficial ways to maximize your Google search like a Google PRO! 1) QUOTATION MARKS: Use quotation marks (“word”) around your search query to find an exact word or phrase. This is useful for searching quotes, song lyrics, etc. 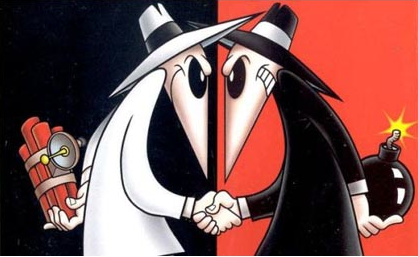 They say a great salesperson can sell ice to an Eskimo, but can that same person sell SEO to an obstinate client. 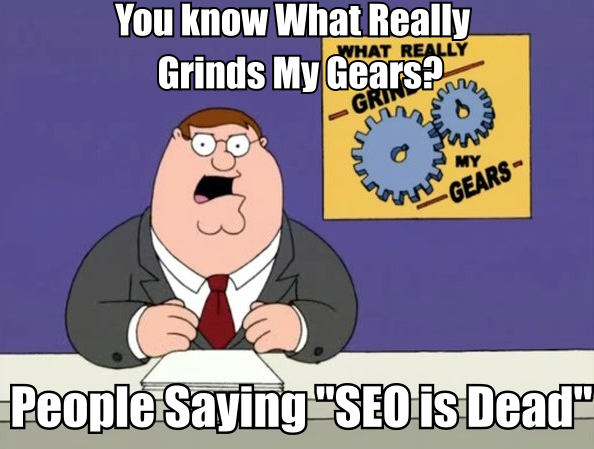 The most important rule to remember when selling SEO Services is to be 100% convinced that it works. If you do not believe in yourself or what you do, how will you ever convince a prospect to hire you? 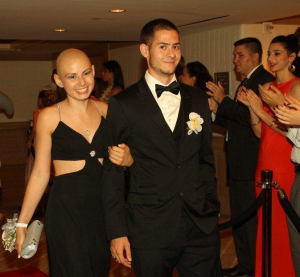 A Prom to Remember hosted their 4th annual Prom Night for kids battling cancer at the luxurious Ritz-Carlton hotel in Fort Lauderdale. Our Seo Specialist, Donnie Strompf is known in the office as a very loquacious and rambunctious character. However, we noticed that a strange phenomena occurs every Thursday from 1 PM PST that keeps him silently glued to his yoga ball. This brought concern and got us wondering. What is so intriguing that posses him to quietly look at the screen with his headphones? After investigating, we discovered he was “Hanging” out on Google+ with Max Minzer. How’s this for a testimonial? The following is not a rant and it is not directed to anyone in particular, but consider this as friendly advice and food for thought. Especially for any marketer wanting to provide quality work for a client, while maintaining a friendly professional business partnership.